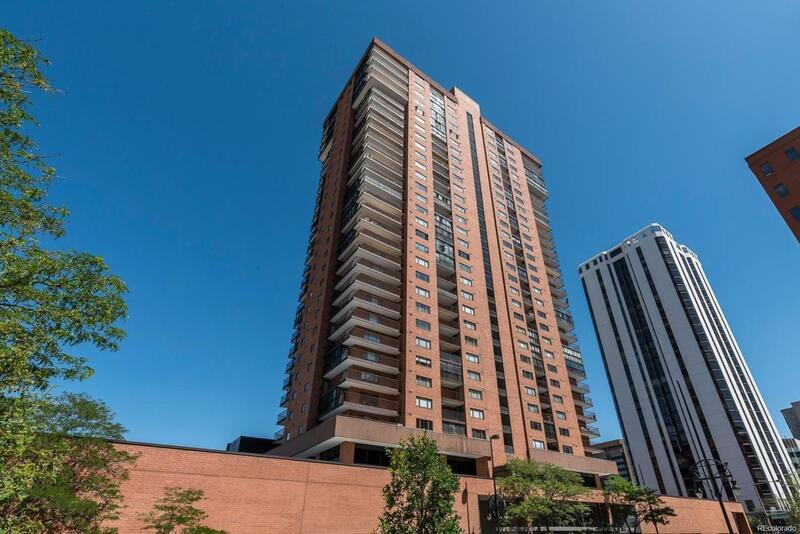 Premier high rise in the heart of LoDo. Adjacent to Larimer Square, 16th St Mall and a short walk to Union Station. Unobstructed views to the Southwest from the 21st floor! Gorgeous two bedroom, two bathroom home includes master with blackout shades, large walk in closet with organization system. En Suite bathroom includes double sinks, ample storage and custom tiled glass enclosed shower. Second bedroom with balcony access and closet organization. Beautiful kitchen with granite countertops, stainless Bosch glass top stove/oven, microwave and dishwasher. Stainless Whirlpool bottom freezer refrigerator. Contemporary lighting. Enclosed 80SF balcony has interchangeable screens for year round enjoyment of the breeze, breathtaking city view and Southwest exposure. Laundry room. Amenities: concierge, pool, tennis courts, fitness center, sauna, steam room, whirlpool, outdoor grills and huge deck! Two deeded parking spaces on level 2 #239 & #240. Can be sold or leased to other owners only.